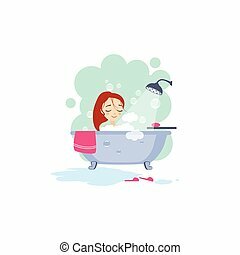 Woman wife mother daily routine. 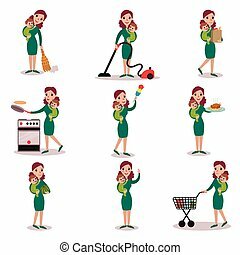 A set of pictogram about a woman daily activity. 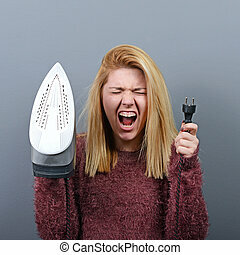 A set of pictogram about a woman daily activity. 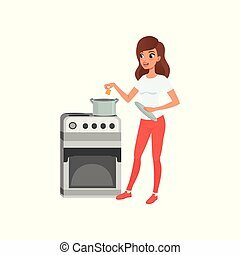 Young woman cooking in the kitchen, people activity, daily routine vector Illustration isolated on a white background. 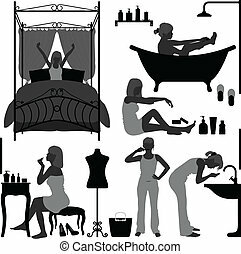 A set of woman daily routine in the morning. 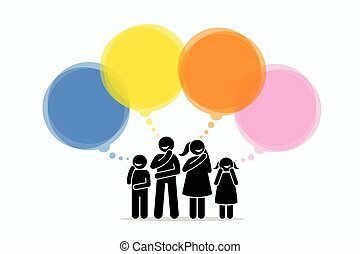 Stick figure pictograms depict a family with father, mother, children, brother, and sister standing together side by side. 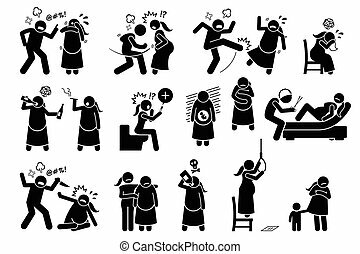 Sign and symptom of abused pregnant woman are physical attack, mental torture, miscarriage, abortion, depression, homicide, suicide, and lack attachment with child. Natural birthing class that include yoga, exercise, meditation, and water birth technique. 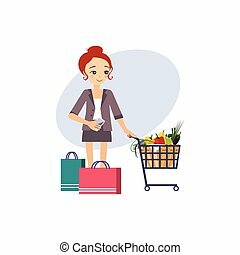 Illustrations in stick figures pictogram. 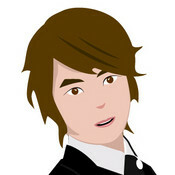 Vector artwork depicts wishes, thoughts, ideas, needs, and imaginations of different people. 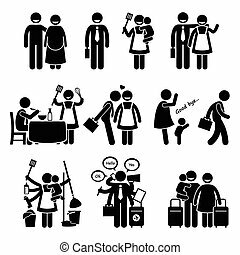 Stick figure depicts all family relationship that has grandfather, grandmother, children, cousin, uncle, aunt, niece, nephew, and grandchildren. 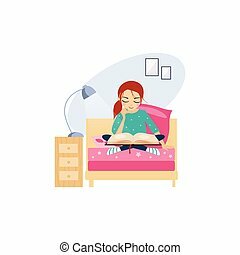 Stick figure icons depict game addict playing computer and smartphone games. They are having a lot of social problem with people around them. 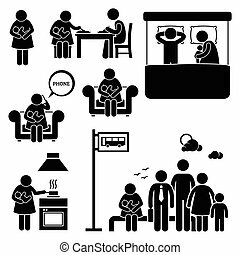 A set of human pictogram representing a mother breastfeeding her newborn baby anywhere and everywhere at places such as during dining, sleeping, sitting on sofa talking on phone, cooking in the kitchen, and waiting for bus in the public. 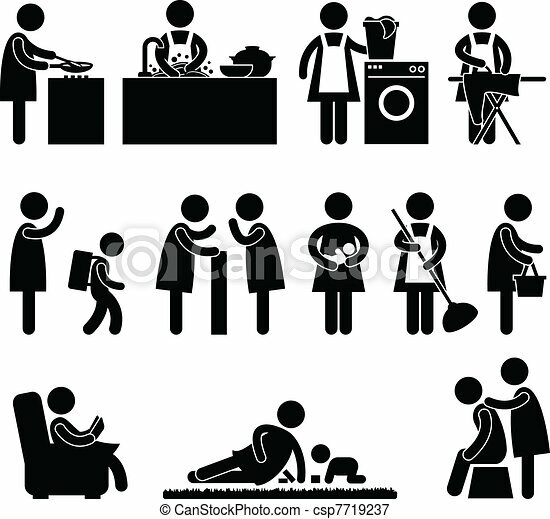 Human pictogram stick figures showing how the lifestyle of a happy husband and wife. They love each although their life is busy and hectic. 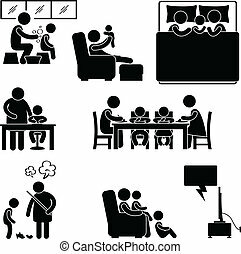 A set of pictogram representing family activities in the house. 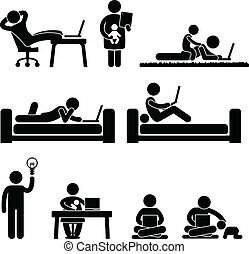 A set of pictograms representing people working from home and having good time with family and himself. 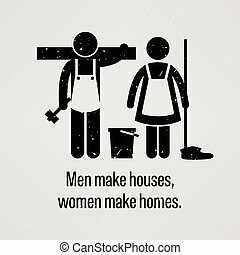 A motivational and inspirational poster representing the proverb sayings, Men Make Houses, Women Make Homes with simple human pictogram. 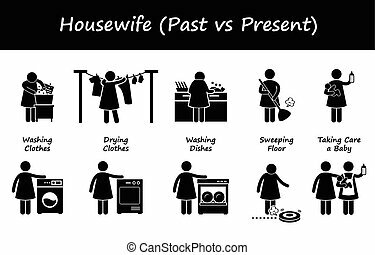 A set of human pictogram representing the comparison between current and past housewife house chores work. 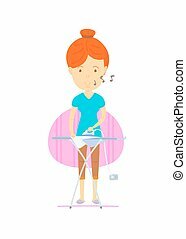 The differences include washing and drying laundry, washing dishes, and cleaning house, and taking care of baby.